One of the effects of the NAFTA on the border cities of Tijuana and Juarez was to transform them into some of the world’s most prolific centers for medical device production. Workers there churn out millions of medical devices manufactured in Mexico every day from plants that belong to companies such as Medtronic, DJO Global and Greatbatch Medical. These globally recognized firms produce items that range from bags for intravenous lines to artificial respirators and parts for pacemakers. Medical devices manufactured in Mexico are imported from Tijuana and Juarez, and from a number of other Mexican cities, into the United States. As a country, the value of medical devices manufactured in Mexico and sold in the US exceeds similar sales made by other producers in countries such as Ireland, Germany, and China. The city of Tijuana hosts the largest concentration of medical device companies in all of Mexico. Seventy-percent of these manufacturers is based in the United States. Tijuana is home to more than seventy medical device manufacturers. As a whole, the state of Baja California, of which Tijuana is a part, employs 61,000 individuals. The overall value of medical devices manufactured in Mexico in the city of Tijuana, and Baja California as a whole, is USD $1.5 billion. Additionally, Baja California is the source of fifty-percent of Mexico’s medical device exports. The high-tech medical devices manufactured in Mexico have helped to transform the Mexican border factories in Tijuana and Juarez into a powerful and advanced industrial complexes. Whereas in past decades Mexican maquiladoras produced textiles and assembled electronics, today qualified Mexican engineers and technicians produce sophisticated orthopedic devices, surgical equipment, and catheters. Factories that produce medical devices manufactured in Mexico have helped to greatly enhance the reputation of these border cities. What was once a place that was commonly seen as dangerous have become cities that are home to sophisticated industrial manufacturing. In addition to medical devices manufactured in Mexico, Tijuana has become home to a large cluster of manufacturers that service the aerospace industry. A value chain of products that manufactures generic supplies, disposable medical devices, orthopedics, and surgical instruments. Medical device manufacturing in Tijuana and Baja California benefits from the city and state’s geographical location, as well as from the openness of Mexico’s economy. 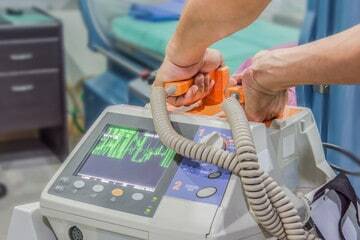 The sale of medical devices manufactured in Mexico is also facilitated by the fact that the country has developed an export platform by signing a total of ten free trade agreements. These ten treaties govern trade and investment between Mexico and a total of forty-five other nations.